Won't You Be My Sweetheart? Copyright, 1893, by The S. Bralnard's Sons Co. Words by J. G. Judson. Music by N C. Verner. He my little sweetheart ever true. Won't you be my sweetheart? Don't say nay. With meaning now he's singing the sweet, sweet song of old:-Refrain. Old grandma in the orchard tells stories of their youth. 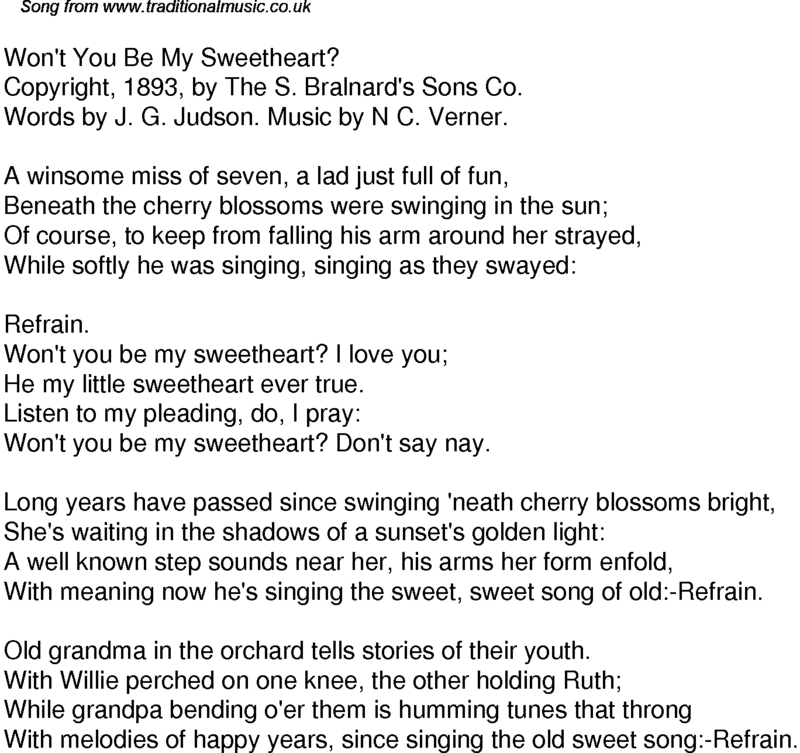 With melodies of happy years, since singing the old sweet song:-Refrain.